Nicole's Quilt, originally uploaded by Monkicat. Here a photo of Nicole's quilt that she has been working on. I decided to post this so she can also see how easy it is to take a shot and get it on the internet and on a blog...yes, soon we'll have another blogger in our midst! Such lovely colors in that quilt! Does she know how addictive blogging is? 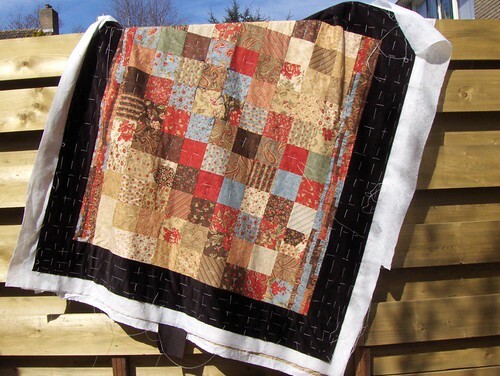 Tell Nicole her quilt is gorgeous! Also tell her, that blogging is fun and also addictive.